Wasps are most active in the warm summer months. In Ireland, the Common Wasp and German Wasp cause the most annoyance and painful stings. Even with their special yellow and black body, they can still be confused with hornets, although hornets are not as common in this country, they can still bite and sting you. Wasp nests may be suspended from trees, nest boxes, rafters in attic spaces and are sometimes formed underground. Wasps can cause alarm when present in large numbers and if the nest is in a place where they could interfere with humans Wasps have the potential to attack in large numbers if their nest is disturbed. It is best to treat a nest earlier in the year before numbers increase and the wasps become more aggressive, increasing the threat of stings during treatment. 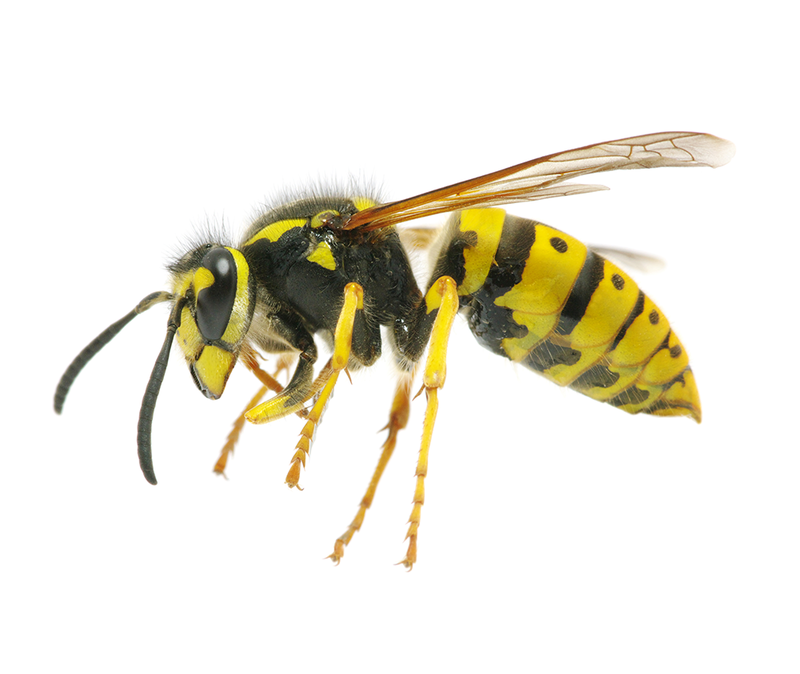 Wasps are one of the nastiest pests out there, so if you have a wasps nest nearby you’ll want to get the pest control professionals in as soon as possible to come and get rid of it. Most people are frightened of wasps, and with good reason, but some try to perform their own wasp removal service anyway. This is a bad idea as pest control experts are the only ones fully trained in wasp removal, and are the only ones with the proper equipment to do it effectively and safely. Wasp nest removal should only ever be done by a skilled professional.